ET Statement: "Like last year, join Eclectic Traditions at the Wonderland of the Americas Mall for the annual San Antonio Pagan Pride Day. What started out as a conversation about the movie "Accepted," pagans, and acceptance in general, "Ask Me About My Pagan" was born. It became Eclectic Traditions' slogan to bring awareness about the diverse spiritual paths that exist and to connect with the community. At every San Antonio Pagan Pride Day that Eclectic Traditions attends, we will be encouraging people to openly talk about their own individual spirituality. "Ask Me About My Pagan!" is what we say LOUD and PROUD to let people know they can ask questions about our faith(s). 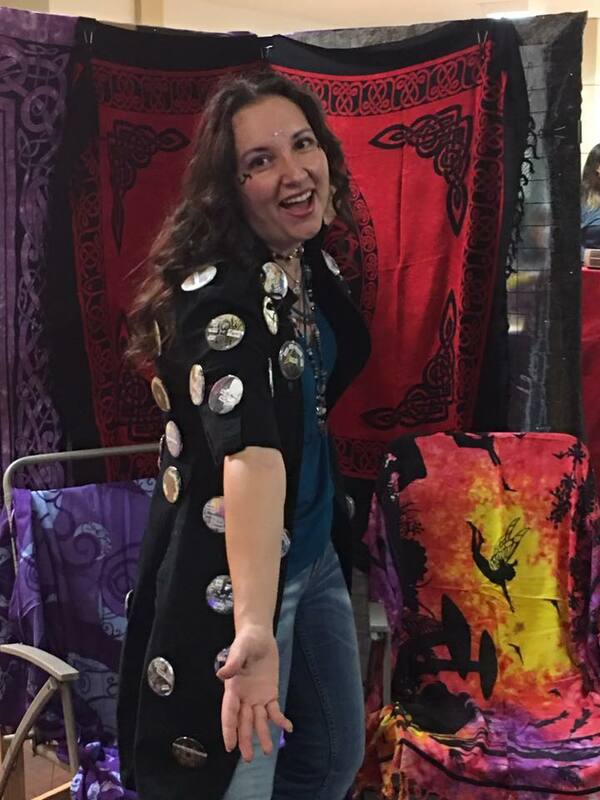 Eclectic Traditions' Founder, Chol, will be wearing and giving away "campaign" style buttons that have been artistically crafted and individualized. The buttons will say "Ask Me About My Pagan" and each image will be unique and different from the rest."